The Museum of Visual Materials presents the 2nd Annual Storybook Ball on March 9. This family friendly event will be a dream come true for your children. 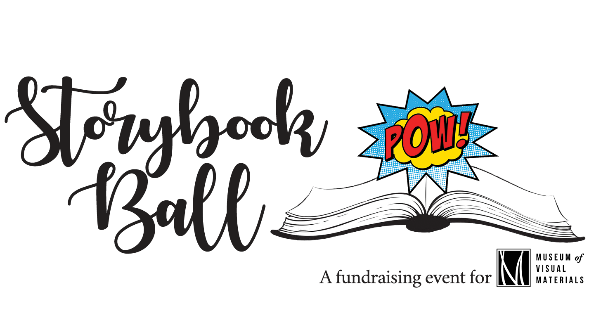 This year, the theme for the Storybook Ball is SUPERHEROES! Children are encouraged to dress up in their favorite outfit or dress to celebrate. Tickets are $25 per child and $10 per adult (children under 1 year old do not need a ticket). Girls and boys of all ages are welcome to attend as we will have activities for both. Tickets can be purchased here. This Museum of Visual Materials fundraising event is sponsored by First Bank & Trust and Eileen’s Colossal Cookies. Thank you to our generous sponsors.